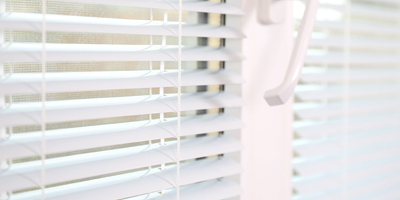 We can custom cut window shades to your exact specifications. 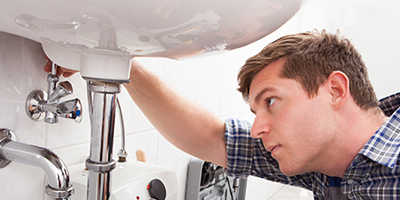 Come on in and talk to one of our experts, and let us help you to get the job done right. We can provide you custom sized glass or acrylic sheets for your window repairs, framing or other projects. You provide the dimensions, and we'll provide you the glass or acrylic cut to order, fast and affordably. Do you have window or door screens that have become torn or damaged? We offer fast and affordable screen repairs. 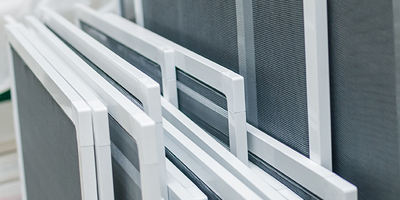 Just drop your damaged screens off and let our experts do the rest. Need a contractor, we would be happy to refer you to someone reliable in the area. 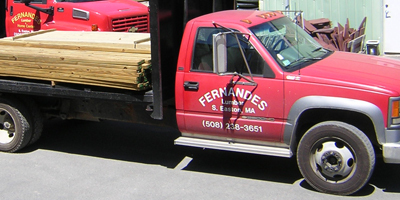 We have been working with contractors in the Easton area for over 50 years and have many established relationships, including painters, landscapers, plumbers, electricians, general contractors and more. Just another benefit of shopping at your local hardware store. Let us help you dispose of flags and batteries properly. 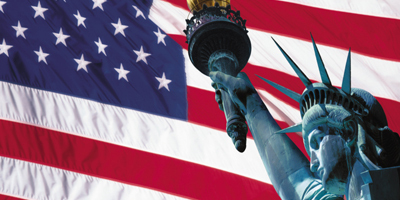 When you’re ready to retire a worn flag, we can help you dispose of it properly and honorably. We also provide environmentally safe battery recycling. We offer delivery throughout the area. 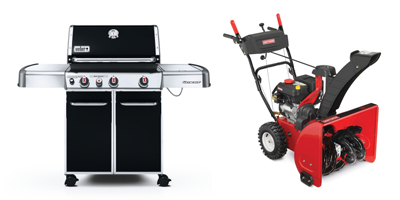 We offer FREE assembly when you buy your snowblower or Weber Grill at Fernandes Lumber. Save yourself time and hassle by letting our experts assemble your new snowblower or Weber grill. FREE LOCAL DELIVERY! 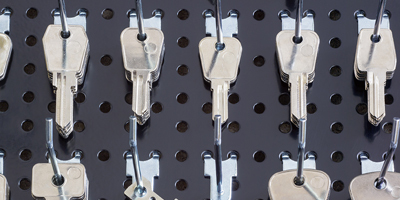 We offer complete key copying and replacement for all standard keys and for keys with chips and transponders. A transponder key has an electronic chip within the key that transmits a signal to the car when the key is inserted in the ignition. We have an extensive array of transponder keys which will cover a majority of automobiles. 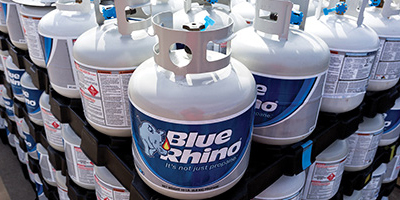 When you need propane, bring your empty propane tank and exchange for a full tank. For your convenience and safety, we use Blue Rhino, the leading tank exchange brand in the U.S.
Want the convenience of all your home locks using the same key or to change the key for a given lock? 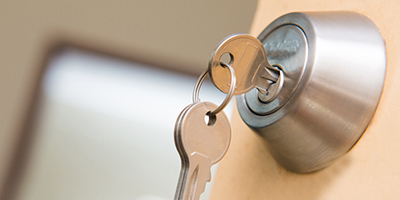 We offer same-day service to reset your locks to new keys. 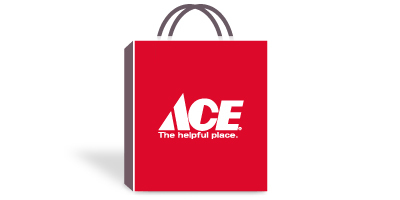 The Supply Place at Ace makes shopping for business supplies easy. 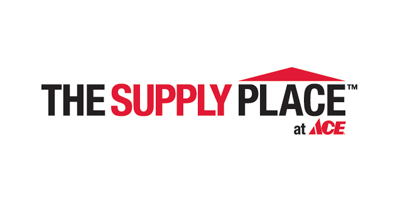 You’ll find quality products in critical categories like hardware, janitorial and sanitation, paint, tools, lighting, electrical, plumbing and more. We can adjust our inventory based on your purchasing habits — so any item, in any quantity is always available. 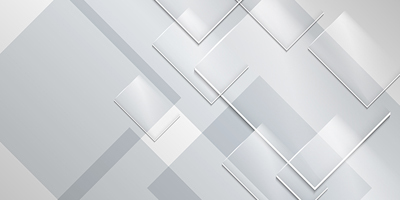 We have access to more than 800,000 SKUs — if you need it, we have it. Download more information. The Helpful Place just got more helpful, introduction FREE STORE PICKUP. 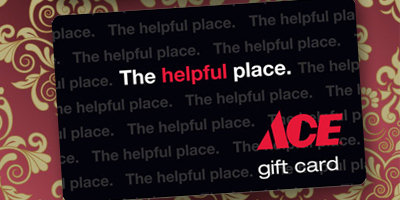 Make your purchase online at www.acehardware.com and pick it up at Fernandes Lumber today. * It's that easy! *Item(s) must be in-stock and order placed at least four hours before store closing. Pick a color. Any color. We can match it. From oversized chips to our color sheets, our professional color tools are unsurpassed in the industry. Pioneered and perfected by Benjamin Moore, our Computer Color Matching System can match the color of any sample 1-inch square or larger. 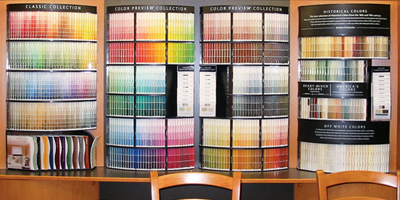 Since 1883, we have been producing color cards and brochures, highlighting trends, offering combinations, and featuring regional colors across the continent. Our Personal Color Viewer® lets DIYers and professionals alike visualize their completed projects in any of Benjamin Moore’s vast array of colors. Users can import a digital image of their own project or work with a selection of stock interiors and exteriors. Our Pint Color Samples serve up our most popular color selections, enabling consumers to see exactly how a color looks on any surface in any light.